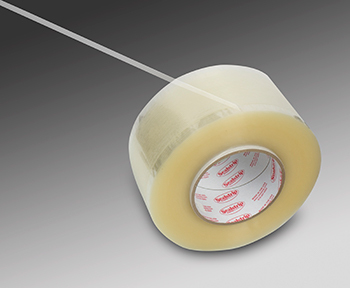 The FreshPak, FDA compliant material is a pressure sensitive tape with a non-adhesive linear edge for the easy to grip, easy open feature. The feature graphics are printed in an additional 0.5” width of your packaging film. The resealable feature graphics are in register with, and a color match to, the packaging graphics. The resealable tape is applied to the edge of the packaging film in the film flow direction. The tape and the printed, narrow width of film are slit away to become the dry edge resealable tape. The feature maintains package barrier properties while being moisture resistant and freezer compatible. FreshPak is provided on long length rolls for extended run times. FreshPak is a cost effective alternative to traditional reclosable features such as zipper packaging or tin-ties for flexible packaging.